Note that we need one, but now everyone has the perfect excuse to buy and eat chocolate. It’s National Chocolate Week! It’s even listed on a website of National Awareness Days. Which means it’s important. You can visit the Chocolate Week website here for any events happening in your area- there are some good ones! A really simple thing to do and totally delicious! Just heat chilli with the milk, so it infuses and you get a nice kick. Here’s a good simple recipe from Waitrose that can easily be adapted to taste. I remember making this a lot at Uni! 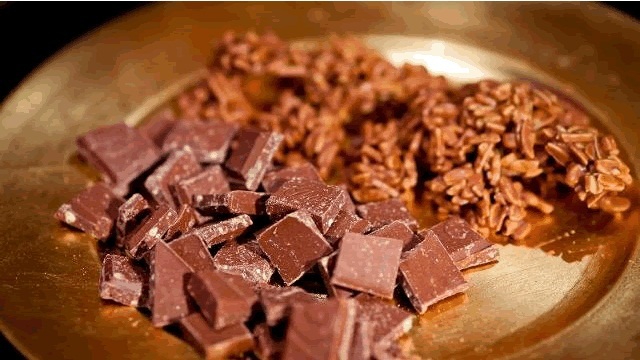 Melt chocolate, mix with stuff, bung it in the fridge. Job done. Try this one out for size; again, it’s very easy to adapt. An essential in any baker’s repertoire- and what better place to start than with this Old Fashioned Chocolate Cake recipe from Nigella. Not got the time or patience to do fancy things like tempering chocolate? Check out this cheaty trick from the fantabulous Choccywoccydodah. The first time I made truffles, I used this recipe from Waitrose- I’ve been hooked on chocolate making ever since! This entry was posted in Baking, Chocolates, Inspiration and tagged Chocolate recipes, National Chocolate Week. Bookmark the permalink. Post a comment or leave a trackback: Trackback URL. How did I miss national chocolate week!? Oh well, I shall have to make up for it this week.